Through Faith Direct, you can make all of your offertory contributions to Saint Anne Catholic Community via automatic payment from your checking account or credit card. This is a great way to simplify your giving – and it is cost-effective and environmentally-friendly way for us to receive your gifts. Click on the appropriate link above to get started. There is no fee involved. For those of you who are not comfortable going online, you can still enroll in this program by completing an enrollment form. Parishioners can elect to receive "offertory cards" in lieu of envelopes to be placed in the collection basket. We can collectively "go green" by eliminating the many envelopes that go unused. 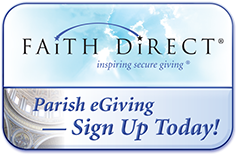 In fact, every family signing up with Faith Direct means one less package of envelopes to print and mail out - and that equates to savings for Saint Anne, which can be used to enhance the ministries in our community. There are many ways to support Saint Anne Parish besides writing a check. With a little planning, you can include a gift to Saint Anne Catholic Community within your overall estate or financial plans that supports the mission of the church and provides you with tax benefits in return. Momentous events like a milestone birthday, the arrival of a grandchild or retirement are a time to celebrate and reflect on where your family has been and what the future might hold. It’s also a chance to think about the values you hope to pass on to future generations. One way you can ensure that your values endure is through will planning. Will planning is the highly personal process of deciding how your assets will be distributed after your lifetime. Create a will. Through this important document, you can direct the division of your property the way you choose. If Saint Anne Catholic Community has been important in your life, you can also include a gift to support our future. Already have a will? Don’t set it and forget it! Review it every couple of years to ensure that it has kept pace with your life. A new marriage, divorce, birth or death of a family member are events that should trigger a review to make sure that your will still protects the people you love. If supporting Saint Anne is a part of your future plans, share your intentions with loved ones. Does your family know why our work is important to you? Tell them! These conversations help ensure that your family understands your intentions. You could also inspire them to make a connection with Saint Anne Parish. Saint Anne Parish receives a specific dollar amount from your estate. Individuals desiring to make a gift of stock must use the pdf Stock Donation form (65 KB) or the transfer will not be processed. Please designate Saint Anne Church on the form. 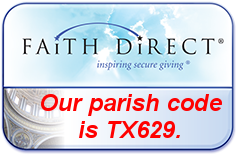 The Development Department of the Archdiocese of Galveston-Houston processes ALL gifts of stock made to its parishes and for gifts made to the Archdiocese. Please mail or fax the completed pdf Stock Donation form (65 KB) to your broker and send a copy to: Michelle Muñoz | Development Department | Archdiocese of Galveston-Houston |PO Box 907 | Houston, TX 77001-0907 or fax to: 713.659.7640. Failure to send a copy to the Development Department may delay the distribution of your donation. Upon receipt of the shares, the Development Department will send an acknowledgement letter to the donor. Upon receipt of the gift proceeds, a notification letter will be sent the pastor. Proceeds of the donation will be forwarded to the parish as directed by the donor. 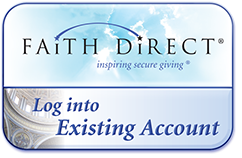 The securities (not the letter of intent) must be in the possession of the Archdiocese by the close of business on Tuesday, December 31, 2019, to qualify as a gift for this year. • You are entitled to a federal income tax deduction based on the current fair market value of the securities, regardless of their original cost. Saint Anne Parish receives all or a percentage of the remainder of your estate after the payment of any specific bequests and expenses. Saint Anne Parish is designated as a beneficiary of the remainder of your IRA or qualified pension or profit-sharing plan. Memorial gifts ensures a person’s legacy continues or honors the wishes of the departed. These gifts may be made online here, or mailed to the address listed below in the sample obituary language. Please include the name of the memorialized, along with the name and address of the individual(s) to whom you would like acknowledgment sent. Gifts made to St. Anne Catholic School ensures that the school continues the high quality of education it has been providing since 1930. It is through these gifts, that we continue to be an award-winning school in the Archdiocese of Galveston-Houston. St. Anne School Foundation supports St. Anne Catholic School with your participation in fundraising initiatives and events. Fall Fiesta is the annual parish bazaar offering something for everyone from kids to adults including great food, rides, games, raffle, live entertainment, vintage values, bingo, dad's BBQ, and more. Eighty percent of the money raised at Fiesta directly supports St. Anne Catholic School.